Since retiring from the NBL in 2016, there has been something missing for Tyson Demos. Not being able to compete week in, week out, has been a hole for Demos post-retirement, and it was one of the driving factors towards him joining PCYC Queensland for the NBL 3×3 Pro Hustle. After not being able to play in the first Pro Hustle event in Melbourne, Demos will be joining Jakobe Hunter, Kailu George and Tidjane Diop at the Geelong Waterfront this weekend, and says he can’t wait to rediscover that competitive streak. “I’m looking forward to it and looking forward to getting out and playing basketball, but also competing,” Demos said. Demos will be making his 3×3 debut at the Pro Hustle, and despite spending nine years in the NBL with the Gold Coast Blaze and Illawarra Hawks, he knows he is entering a whole new world. The 30-year-old has been trying to gain some knowledge from other Pro Hustle players, which has just fuelled his excitement for the weekend. “It’s a bit of stepping into the unknown,” Demos said. “I’ve been trying to get a few hints from a few of the other boys that play in the other teams and they’ve been talking a bit of trash, so I can’t wait actually. Demos believes his feisty defensive attitude will translate well to the Pro Hustle court, where more physicality is allowed compared to a traditional basketball game. “I’m really looking forward to the challenge,” he said. 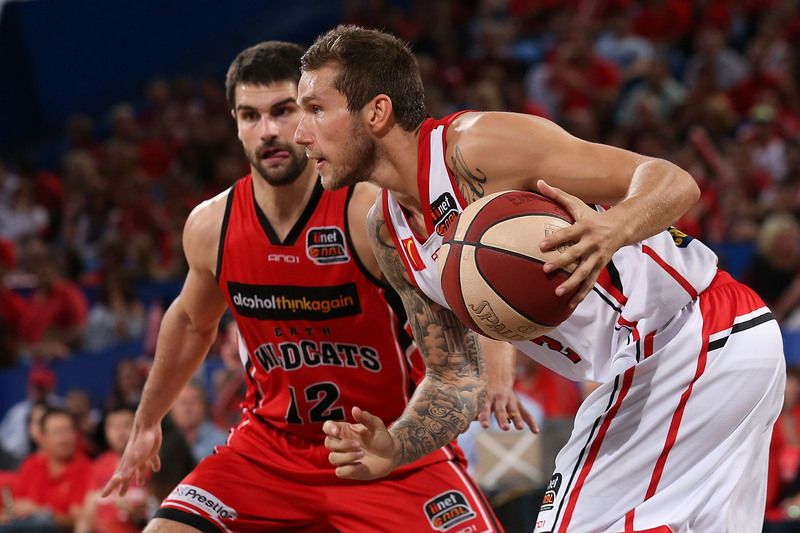 “One of my strengths of playing in my NBL career was the defensive end. Even though he has never played 3×3, one of the strengths Demos has over some other players is prebuilt cohesion with his PCYC teammates. Demos has played with all of them in the Indigenous national team, which he thinks will help them click better as a unit on the Pro Hustle court. “I’ve played with all the boys before with the Australian Indigenous team,” Demos said. “We just came off the back of a weeklong tour of New Zealand, so we have definitely played with each other before, we know each other’s strengths and each other’s weaknesses. I’ll be getting the boys to cover my weaknesses as much as possible. “It’s something I couldn’t refuse. I’m slowly getting back into playing a little bit more, obviously with the Indigenous team going away with them every few months or so. The NBL 3×3 Pro Hustle hits the Geelong Waterfront this weekend. For event information and tickets, click here.